After the sun sets and the evening sky settles in, nature begins it's transition from day to night. 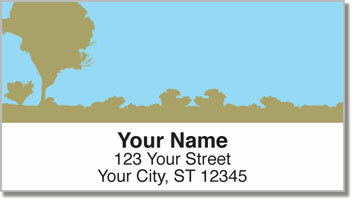 They are some of the most beautiful moments you can experience outdoors, and we've artistically illustrated that magical time on this set of return address labels. Shadows of trees sit quietly against the darkening horizon. Some animals rest their heads while nocturnal beasts wake up. Flowers close their blooms as a stars begin to sparkle overhead. 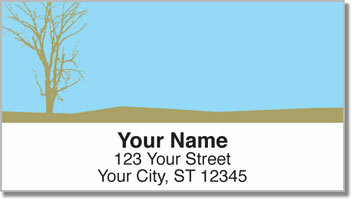 Make your mail memorable when you stick on these unique return address labels. Not only are they eye-catching, they are also quite convenient. 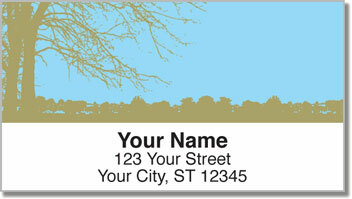 A self-adhesive backing lets you simple peel and place on every envelope. 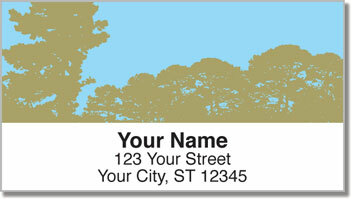 Get your own Tree Silhouette Address Labels today! Don't forget to take a look at the matching checks.